Reading a book about a place I’m going to visit is always enriching, but in the case of Namibia, it’s particularly helpful. The country’s fascinating, tumultuous history is little known outside the region. And in contrast to the numerous famous books about, say, Kenya or South Africa, literature related to Namibia is relatively obscure. In preparation for my recent visit to Namibia, I read three contrasting books about the country, its history and its people, two of which were published within the past two years. I so enjoyed these works that I recommend them even to people with no intention of ever visiting Namibia. “Mama Namibia” in particular is an important, beautiful book about a brutal and tragic moment in history that few people know anything about. I found it hard to put down. Named the literary laureate of the Herero Tribal Authority in 2013, Maria Serebrov based her book in large part on a real Herero woman named Jahohora. Her life was upended shortly after the turn of the 20th century, when the Germans decided to exterminate the entire Herero people. We see this genocide through her eyes. The story as told in “Mama Namibia” is heartbreaking, but the book is also beautiful and at times humorous. In fact, “Mama Namibia” is even something of a page-turner, as we follow Jahohora’s struggles to survive in the desert. We also watch the genocide unfold through the perspective of a German military doctor who also happens to be Jewish. His story serves as an unexpected counterpoint to Jahohora’s, and the book is perhaps most remarkable when the two stories intersect. Note that there are distressing descriptions of violence in “Mama Namibia,” but alas, they are also based on fact. 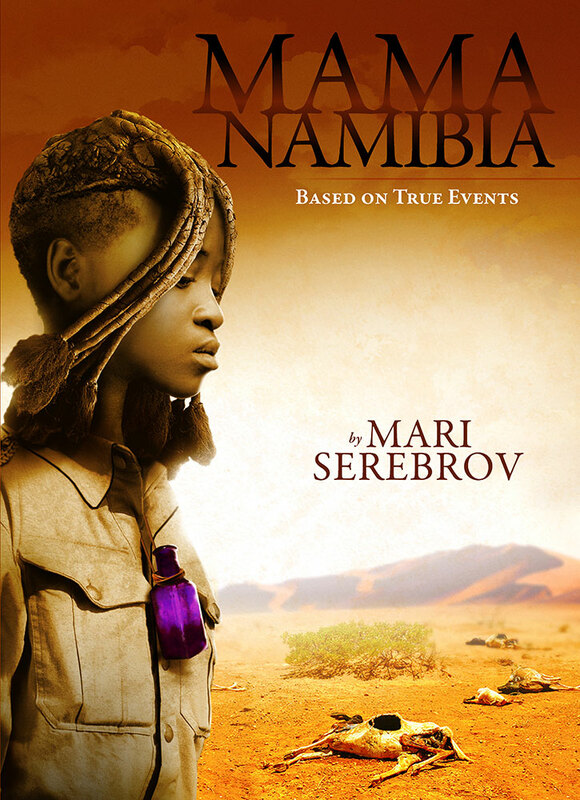 Like “Mama Namibia,” “Binti” has a young woman as its protagonist. Binti, a member of the Himba, is a brilliant mathematician. She wants to attend a major university, but her family is against it. This conflict is also based on fact; many Himba do not believe in giving their children a Western-style education, because it encourages them to abandon their traditional lifestyles and leave the tribe. But Binti doesn’t want to study in Windhoek. She wants to attend Oomza University, the best in the entire galaxy. 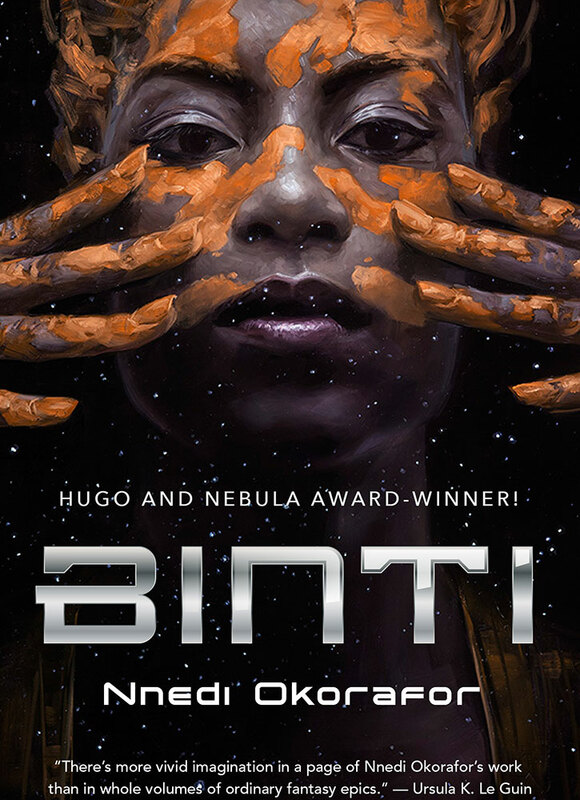 “Binti” is a science-fiction novel with a Himba heroine, and it doesn’t take long before her life is threatened by translucent, tentacled aliens. 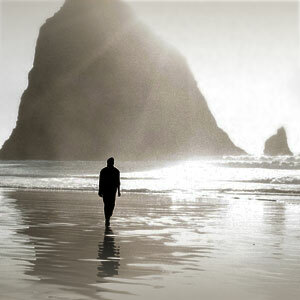 Originally released in three parts, the entire trilogy became available to download to e-readers on February 5. It’s a quick and fun read. After reading “Mama Namibia,” I wondered how much I would be able to empathize with the German who wrote this memoir. But Henno Martin and his companion, Hermann, are anti-Nazi geologists who flee into the desert to avoid being detained during World War II, when Namibia belonged to South Africa. I couldn’t help rooting for them and their winsome dog, Otto, as they figured out how to survive in one of the driest places on the planet. In between stories of (often failed) hunts for game and water, Martin muses on evolution. He has plenty of time to observe the behavior of animals — indeed, his survival depends on it — and he has many insightful things to say on the subject. This is fortunate, because the digressions stop the story in its tracks multiple times. Even so, I found “The Sheltering Desert” to be worthwhile. The ingenuity of Martin and his companion is astonishing. They lasted years in the desert. Faced with similar circumstances, I have no doubt I would have been dead within a week or two. 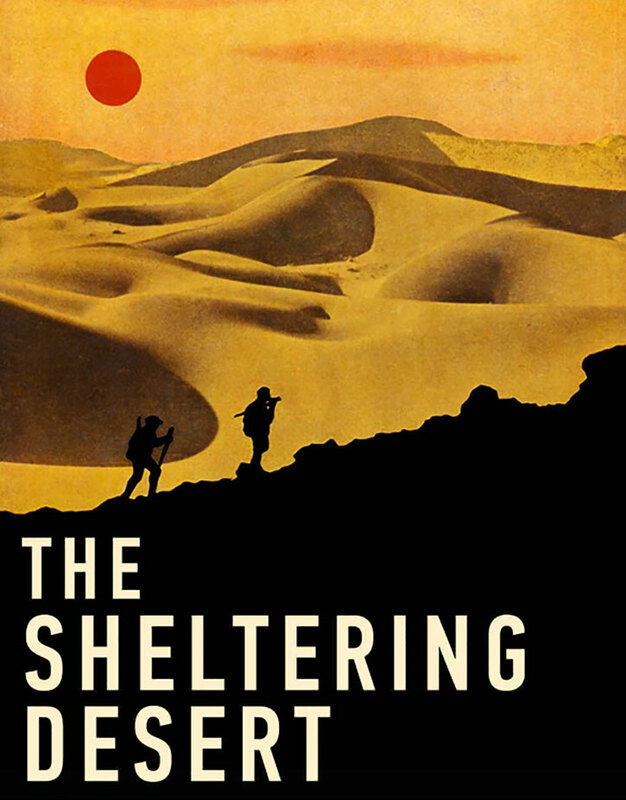 Two more caveats about “The Sheltering Desert”: The author uses outdated terms to refer to indigenous people (the book was published in 1958), and the digital version of the text is riddled with typos. Reading the e-book requires occasional translation of sentences such as “And then we heated op [sic] all oar [sic] empty dripping tins.” A quick copy-edit would do wonders.